I’ve had a lot of people ask me if there was any way to get a printed collection of the articles from the BeerSmith blog. Soon, the answer will be yes. 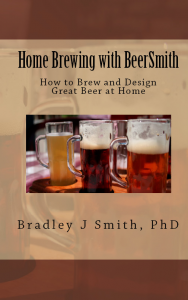 I’m in the process of editing my first home brewing book titled “Home Brewing with BeerSmith” for publication in late October. I’m really excited about this book – as it contains a collection of most of my best articles from the BeerSmith blog over the last two and a half years including dozens of home brewing techniques not covered in other books. In fact, I’ve included over 75 articles from the blog, all organized and indexed. It is not another “how to brew book”, and I have not packed it with illustrations or tables, and it doesn’t contain another collection of recipes – just pure brewing content. It is quite literally a compilation of almost every topic I’ve written about these last two and a half years. You can get most of the material right here on the blog for free. However, I know some people (including me) still enjoy having a complete book rather than fishing for articles online, which is why I’m publishing this. The book is not necessarily for newcomers, though it does have a short section on brewing your first beer and some great material on extract brewing. It is, however, intended for avid brewers who want to learn more about brewing techniques, designing beer recipes and creating popular beer styles. Here are some of the chapters: Extract Brewing Techniques, Beer Recipe Design, Partial Mash and All Grain Brewing, Hops and Hop Techniques, All Grain Brewing, Making Better Beer and then three chapters on beer styles including English, Continental and American styles. 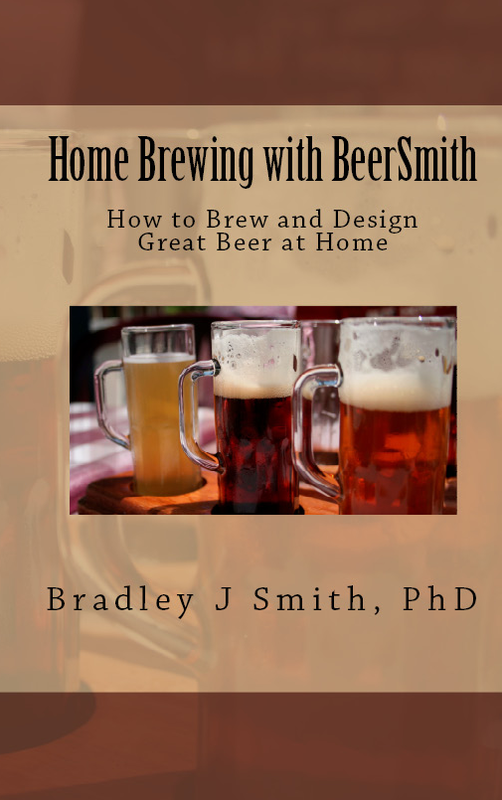 The book runs approximately 260 pages and will be available from the BeerSmith site in printed form, as well as on the Kindle E-Reader, PDF form and from the Amazon online bookstore. I also have a lot of other ideas I’m working on – including audio and video content for the blog, BeerSmith 2.0, and possibly some video products. Can’t wait to get this!!! I hope people enjoy it – I just sent off to Amazon for the final proofs, and also loaded the digital version up for the Kindle. I decided not to include many images/tables – just pure articles. Now I just need to await the proof copies, make any final edits needed and then press the button to publish it. If anyone is interested in self publishing, I’ve collected quite a few lessons learned these past months. Nice. I’d like to see a BeerSmith app for my droid more. Excellent book! I hope to see it on Amazon!